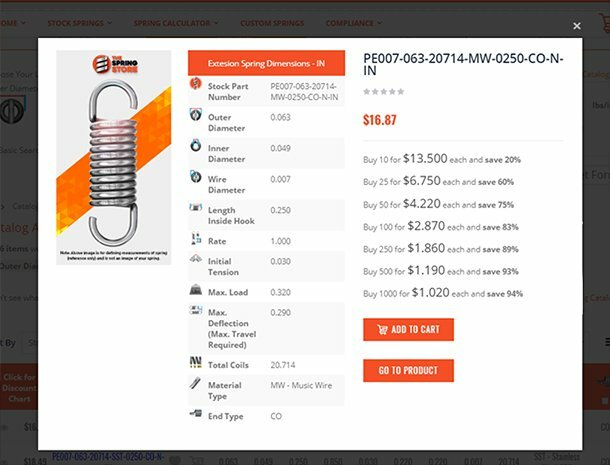 Definition: A coiled spring is a spring which is made from round spring wire which is wound on a spring-making machine to form adjacent coils. Such coils will store energy/force at the time it is under a working load (amount of force per distance traveled). 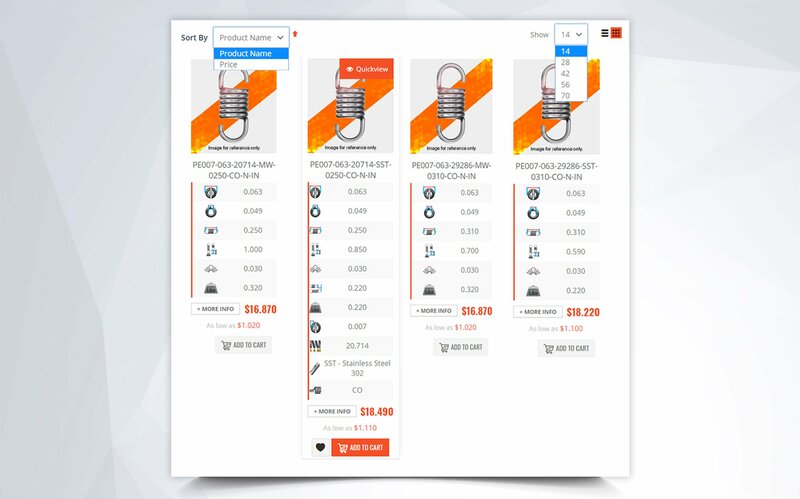 There are three types of basic, standard coiled springs. 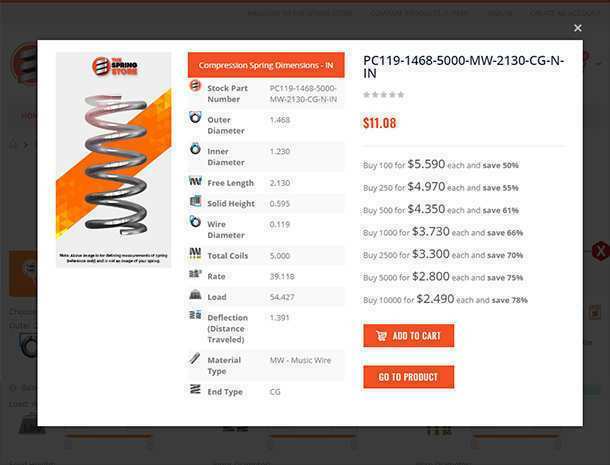 These are compression springs, extension springs, and torsion springs. 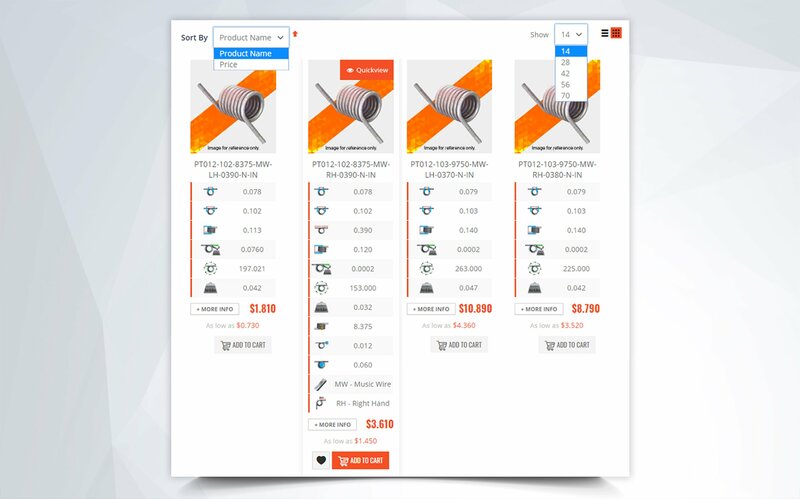 On our website, sell stock of all three as well as a custom form of compression spring known as a conical/tapered spring due to its cone shape. 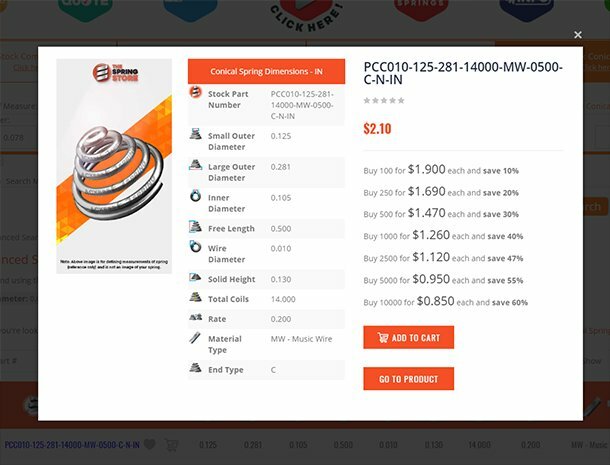 Below you are provided with links to the pages that may assist you in the design of the three basic coiled spring types. 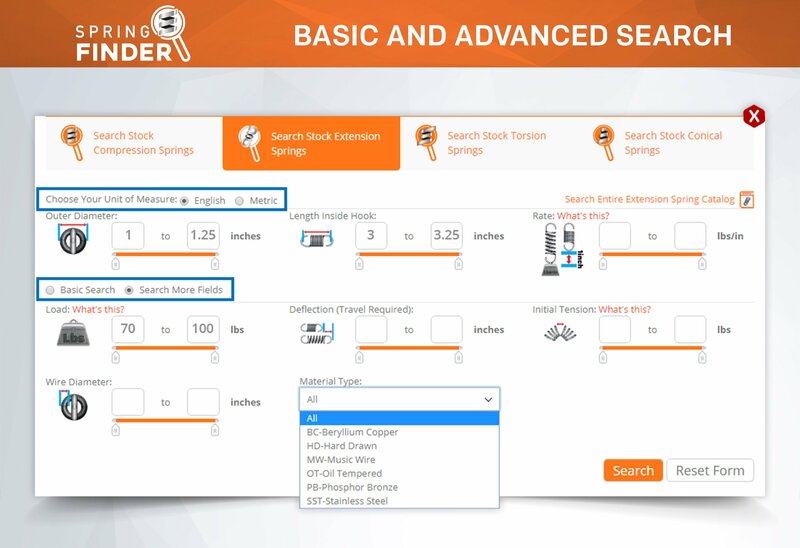 The three basic coiled spring types all serve different purposes. 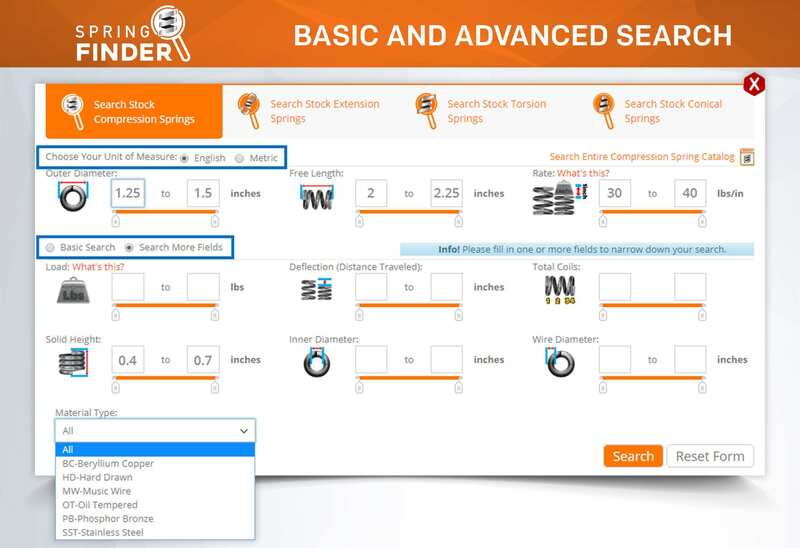 Compression springs are meant to be pushed down by a force thus gathering energy to push back on that force and return to its original position once the force/load has been lifted. It is the same with extension springs except these are meant to be pulled. 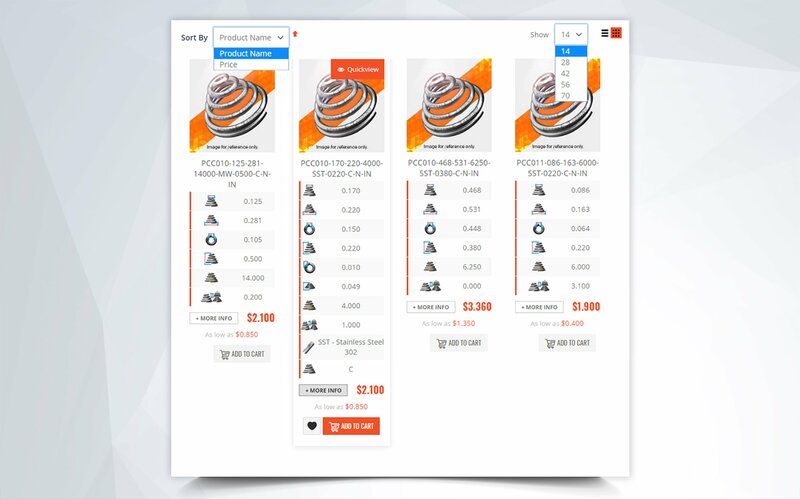 The case with torsional springs is similar except torsion springs are meant to be torqued for they exert a radial force instead of a linear one like compression and extension springs do. 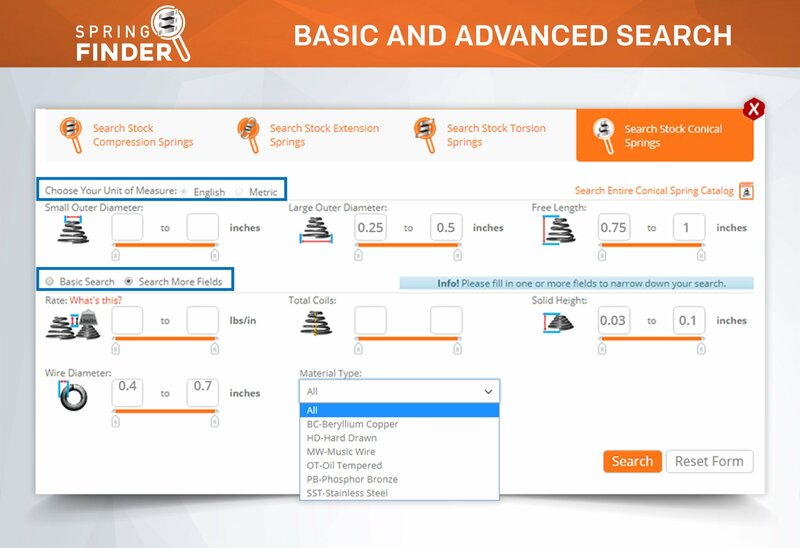 To calculate a coiled spring design, you must first start the dimensioning and tolerancing process by measuring your spring’s surroundings. 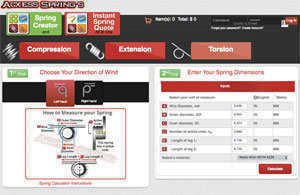 This way, you can make sure not to exceed those limitations thus having enough room to install your spring. 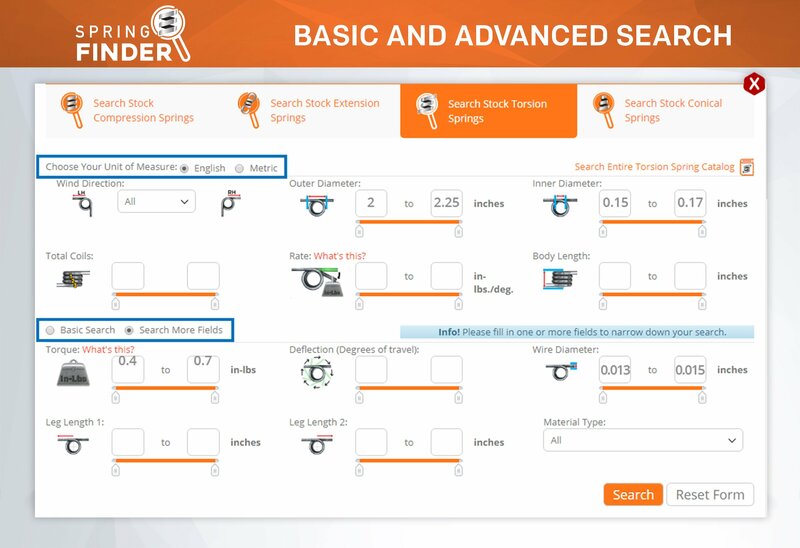 When it comes to your spring being installed inside a hole or over a shaft, you must consider keeping some clearance between the walls of the hole/shaft and the spring in order to avoid friction as the spring is under deflection. 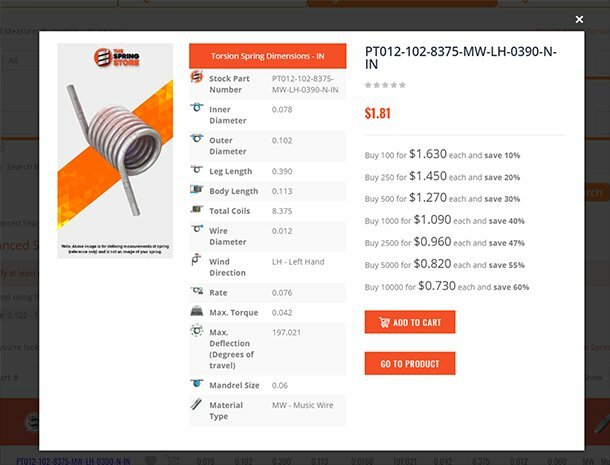 In the case of a torsion spring, its inner diameter contracts as it is under deflection so, in order to avoid the spring biting on the shaft, the clearance between the inner diameter and the shaft must be take from the already deflected diameter. Next, you must figure out the spring working loads. In this case you must take into consideration both the free length/position and the deflected length/position. 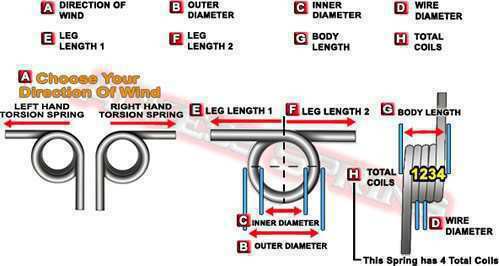 Once you’ve done so, take a look at the load/torque you want your spring to under go in order to reach that loaded/torqued length/position. 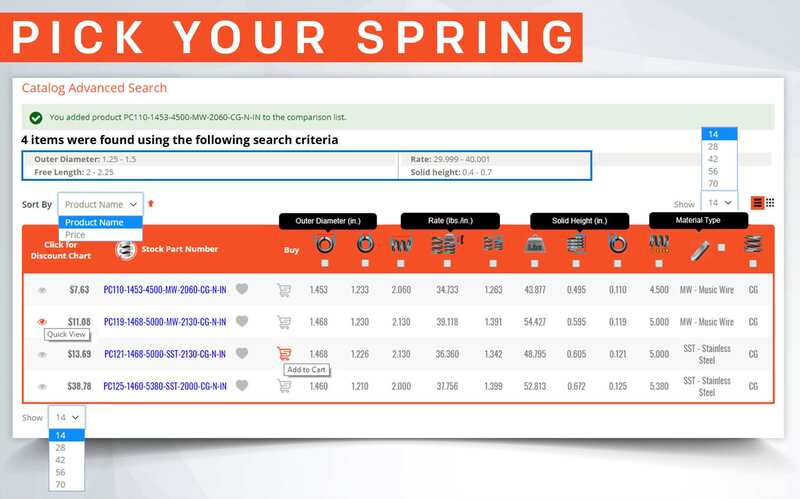 Having these values will help you calculate the required spring rate you need in order to have a reliable spring design. 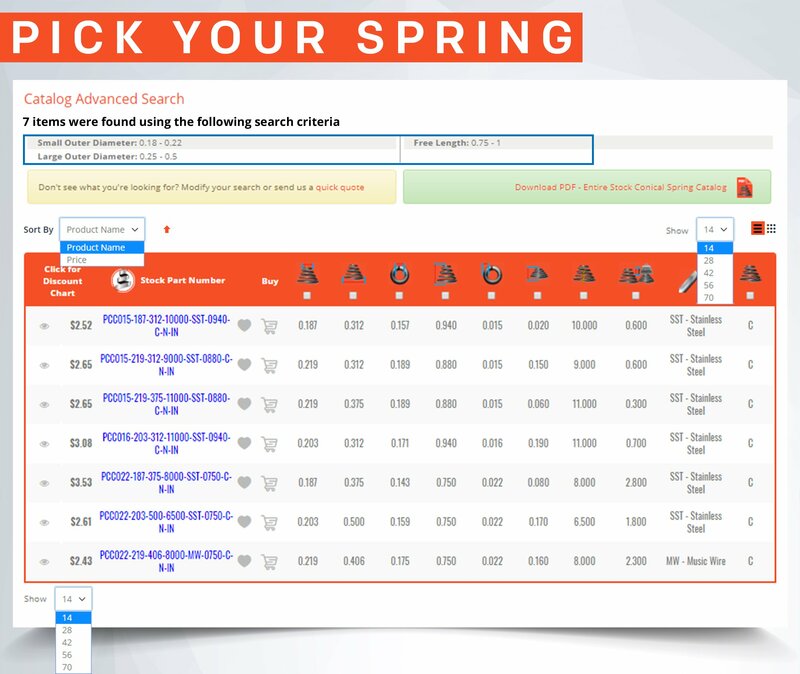 Last, but not least, use our spring calculator, Spring Creator, where you are able to input your dimensions and get back the results of your spring’s force and elasticity. That’s right! 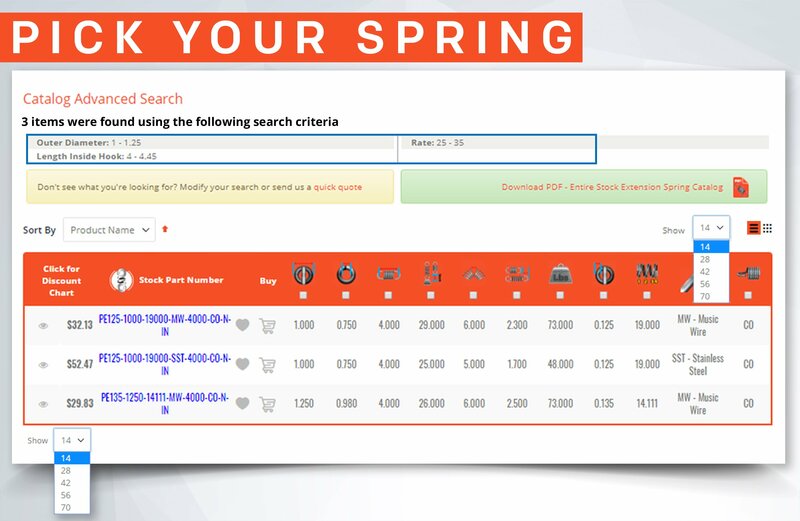 At The Spring Store by Acxess Spring we’ve implied the process of designing your springs by providing you with a spring calculator that only required you to enter a minimal amount of information compared to other spring design calculators yet provide you with the most complete and full spring analysis. 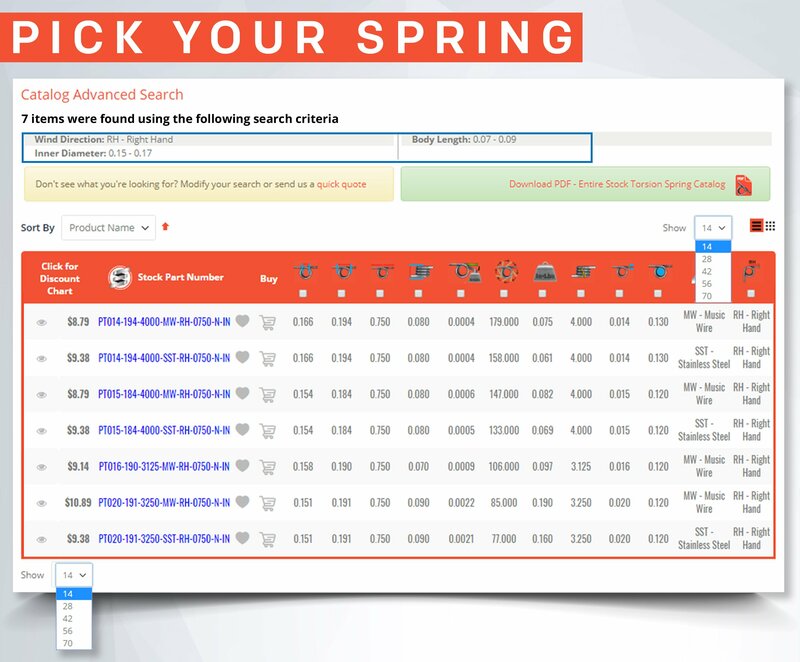 The spring analysis section gives you all of your spring dimensions along with the spring rate, maximum safe load, maximum safe travel, and warnings along with tips on how to improve your design. 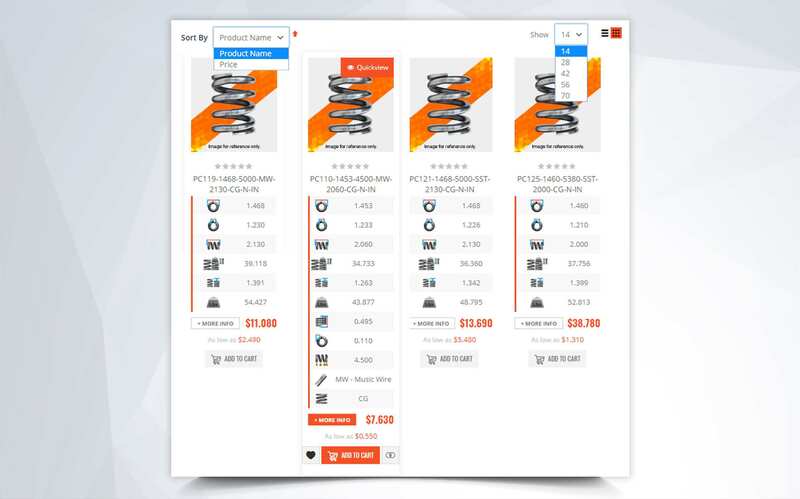 Once you’ve confirmed that your spring will work, send yourself or a comrade a live blueprint of the design which comes with the spring analysis, an instant spring quote, and similar stock spring suggestions.